Dr. Collins is a graduate of Vanderbilt University, and received his medical degree from the UT Center for Health Sciences in Memphis. 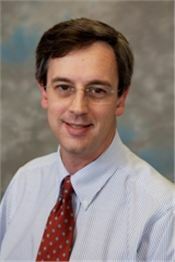 Dr. Collins completed his residency in Obstetrics/Gynecology at the University of Arkansas for Medical Sciences. He also completed his fellowship in Maternal-Fetal Medicine at the University of Arkansas. He remained there for another eight years as a faculty member, and subsequently was a member of the Maternal-Fetal Medicine faculty at Washington University in St. Louis. After two years on the faculty at Vanderbilt University Medical Center department of Obstetrics and Gynecology, Dr. Collins left to establish Tennessee Maternal Fetal Medicine with two of his Vanderbilt colleagues. He is certified by the American Board of Obstetrics and Gynecology in both Obstetrics and Gynecology and Maternal Fetal Medicine, and is an active member of ACOG, SMFM, and AIUM. Dr. Collins is also NTQR certified. Dr. Collins was also selected among Nashville Business Journal's Best Doctors of 2014.